Costs – How much has a pro quoted you for a recent tree removal job? Check that and other tree-related costs against our stats for Columbia here. FAQs – Are you up-to-date on the Columbia tree culture? Check out tree rules, popular trees and more! Services – Find a local arborist today! How Much Do Tree Services Cost in Columbia? 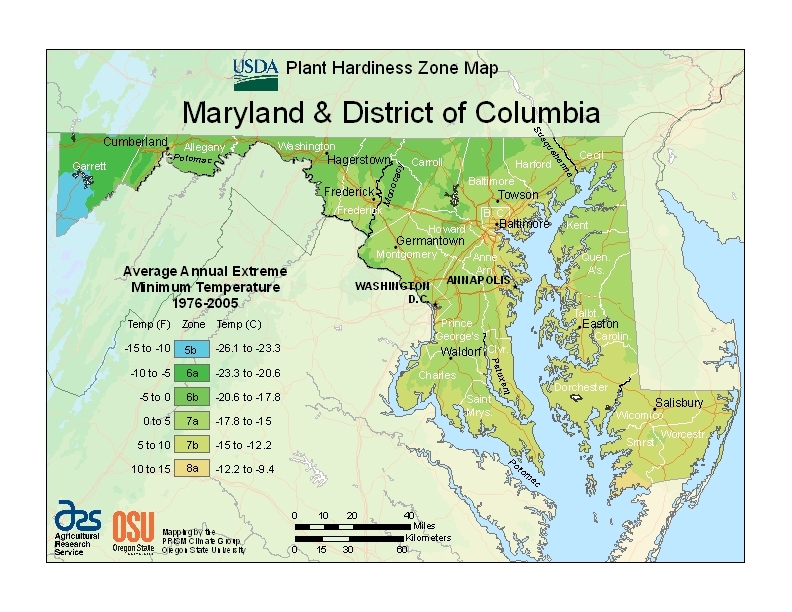 Columbia, MD is lucky to host a wide variety of tree species thanks to the city’s fertile climate. Even though the area is naturally equipped to support urban forests, residents can still do their part to help local trees thrive by performing the right maintenance at the right time. When hiring a tree services contractor whether for trimming or a complete removal, know that costs for the job can vary greatly depending on several different factors. The cost to remove a tree completely in Columbia varies with great contingency on many different elements. A tree’s age, level of deterioration, size, root systems, and other unique characteristics can all impact the price of a removal service. Homeowners generally report spending between $406 and $1,304 for removal services, with an average job costing $825. Like trees, the price to remove a stump typically fluctuates based on the job being performed. The cost to grind a large stump in Columbia, MD generally ranges between $87 on the low side and $151 on the high side. These prices take into account both the labor required to remove the stump as well the equipment needed for the job. Full removal services are more expensive due to the increase in labor. On average, homeowners in Columbia spend between $225 and $550 for stump removal services. Most spend around $350 for a single stump removal. If the stump has significant root systems, tough soil conditions, or is located in a difficult space however, it could cost much more than that. Columbia trimming, pruning, cutting, and other maintenance costs total $350 per job on average, but can range between $199 and $625 depending on the work being done. Trimming is extremely important, because it prevents a tree from growing too dense. When a tree becomes too dense, light and water are unable to reach the core of the plant. This means you could see a beautiful tree on the outside when its inside is actually dry and dying. By trimming and pruning, you take the proper preventative steps to keep your trees healthy and strong. This in turn makes them less susceptible to diseases and costly damage down the road. Regardless of the cost involved, Columbia’s abundant trees and unique Tree Canopy Program make the city a beautiful place to live. Proper maintenance and care for trees is essential in promoting healthy growth and forests for generations to come. When it comes to maintenance, it’s important to take the proper procedures by following city rules and regulations. Trees that are completely on your property can usually be removed without seeking a permit from the State of Maryland or Howard County. Trees that are in the right-of-way of any road or other city-owned area must be removed with a permit from the Maryland Department of National Resources Forest Service. It’s often up to residents to spot and report a potentially hazardous tree when they see one. Hazardous trees are those that pose an obvious threat to property, including power lines. If you do see a hazardous tree, call the Howard County Bureau of Highways right away. At the present, there are no restrictions on which species of trees may be planted near power lines. If a tree threatens to fall on or pose other damage to a power line, the Maryland Forestry Board may replace it with a shorter species. In Maryland, one of the best times to remove a tree is during the winter. The colder temperatures slow the growth of trees as well as sap production, making the job less labor intensive and thus less costly. It’s also a great time of year because many of the region’s deciduous trees are dormant, making them easier to work with. The absolute best time to schedule a tree removal in Columbia is the month of November. The soil is usually cold enough by then to remove a tree with extra ease without the added obstacle of large accumulations of snow on the ground. 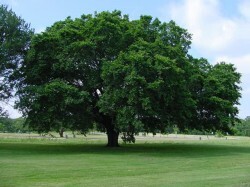 Maryland’s state tree is the sturdy white oak. Also known as the Wye Oak, it is the largest specimen of its kind in the United States. Some are known to live to be 600 years old. 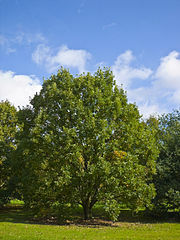 The white oak begins to produce acorns when it reaches 50 years of age. Columbia is also home to select species of fruit trees. Due to the colder temperatures in the region, the fruit trees that thrive the best are apricot, fig, peach, and pear-bearing varieties. Arborists report that the degree of difficulty involved in maintenance has more to do with a tree’s age and condition than it does with its species, as all varieties of trees require the same basic trimming and watering routine. In Columbia, a large oak tree with mature root systems will require much more intensive maintenance than a fledgling willow tree, for example. Trees in Columbia are susceptible to a vast number of unfortunate diseases. These range from everything from armillaria root disease to bacterial leaf scorch. While Dutch elm disease once plagued the region in the 1990s, the most common problems homeowners face today are anthracnose and apple scab. It’s also extremely important to monitor your trees from sunscald during the winter.